I have a set of RN NA cams to replace the turbo fixed & VVT cams, Is the cam timing for the RN NA cams the same as the N, -4 Intake and +5 Exhaust ? No idea on the timing, but I'm very interested to find out the answer because I have the same cams you do waiting to be installed! I have the same cams as well. Been looking for the answer to this question for a while now. Uh... from which NA motor to which turbo motor? 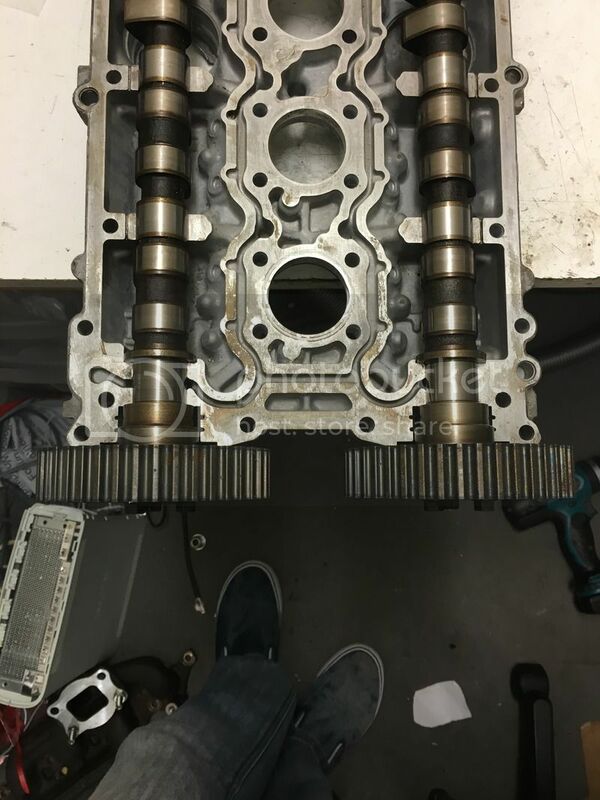 Single VVT N/A cams are VVT on the intake while single VVT turbo cams are VVT on the exhaust... are you just going to swap the intake and exhaust cams? I don't know if that's even possible, but if you are able, that's going to make a world of difference for your adjustment needs and you'll probably be in uncharted territory. You're puting a non-VVT exhaust cam will fit in place of a VVT one? I don't think they're the same length or journal at the cam end... I'd be shocked if it just drops into a VVT head without issues. Good luck. I'll get some pics tomorrow. They fit fine. What advantages does the fixed NA exhaust cam have over the variable turbo one? Oh shoot! I just realized you are doing intake and exhaust. 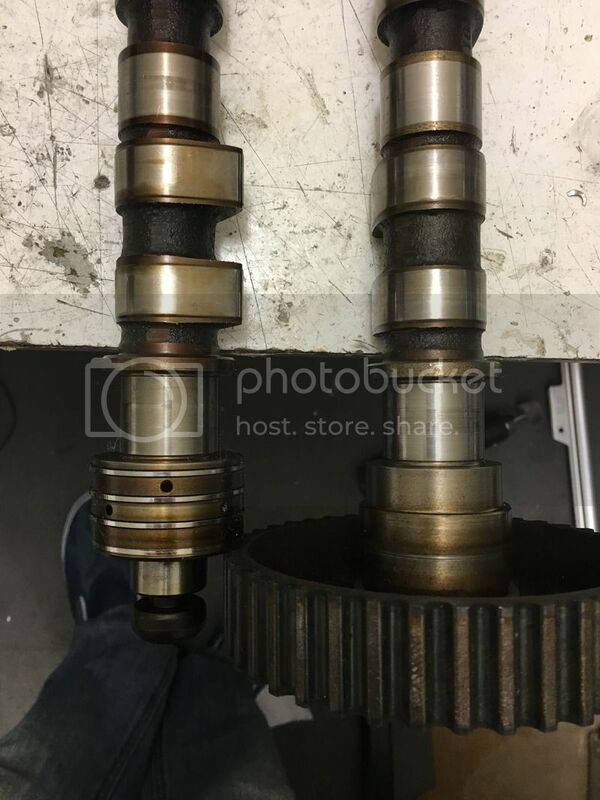 I thought you were only doing exhaust side. Makes more sense now because I thought the earlier cams mostly saw benefits from the intake side. The only real advantage of putting the N/A cam(s) into a turbo engine on the N engines is the slightly (0.5 mm) higher lift. The reason for the timing adj (-4 intake, +2 ex typical) is to attempt to dial out the higher N/A overlap, which is excessive for the turbo-charged application. Has you compared the lift between N/A and turbo cams on the RN engines? I've done some measurements on the various cams on engines, mostly turbo engines, but I did get one RN NA intake cam. herre are my measurements. The intake # and exhaust # are the Volvo part numbers for the cams. Hope this sets up so you can read the columns correctly. The RN NA exhaust cam fits perfectly into the VVT cam bearings on the turbo head. Everyone says that NA cams have more lift, but on the RN engine of 2002, this isn't true. Within my margin of measurement error, it has virtually identical lift to the turbo exhaust cams. I did not measure the intake VVT cam on the NA engine. Note that the 2003 XC70 exhaust cam has exactly the same part number as the '04- R cars, and the '05- T5 cars. I've just never had an R intake cam, and haven't had a chance to pull the cams on my car to measure the intake cam. All of the duration figures are at .050" lift on the cams, which is the standard way to measure duration for all the American cam manufacturers. Lookforjoe has had different numbers, but he was measuring from the first increment of lift, and when I compared my measurements against his when I msearued the lift, I cam within a degree or two on the duration. Finally, the '03 XC70 cams are dual VVT cams, so I suspect that is why they have less lift on the intake cams than earlier turbo cars.